I wonder what it looks like from the other side of the room. They have started a third run of this $24,000 synthesizer. I really want the Jackie Treehorn Productions and the Summerisle shirts. At £20 each, though, and shipping costs, those are mighty pricey shirts. Same. Would love to see it installed in a bar. There is now a waterproof Kindle. Is it cheaper than a Kindle Paperwhite and a ziploc bag? 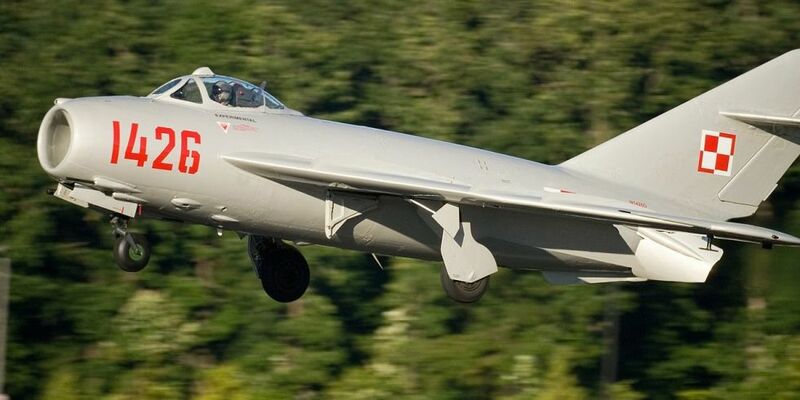 If I were a rich man...I'd fly my MiG-17 all over town. Actually, what's pretty amazing is that they're even selling a MiG-29, too. I know it's a close-out price, but the reviews from several sources were pretty sound and the thing about computers is that I can either shop around for them forever or just dive into buyer's remorse and get it over with. I do like the look and the weight (3.4lb), but I'm still going to need to figure out how to load some fairly specialized software onto it and, of course, to type on the damned thing. Last edited by D.A. Ridgely on 27 Dec 2017, 11:12, edited 1 time in total. That's a pretty sweet Xmas gift to yourself. I got a SSD in my most recent laptop, and I'm never going back. I have a non-specific lust for wireless-networked smart light bulbs. I just have to find a setup that's hackable in the "custom things I could do" sense, but not in the "bored teenager in my Wi-Fi range gives me the gift of strobe lighting/random Russian turns it into a botnet" sense. You'll shoot your eye out cut your fingers off. That is a seriously sweet piece of kit. I got one for Christmas with my Amazon Echo. Still have to actually find a fixture to put it in and set it up. The thing I don’t like about smart bulbs is that you eliminate switch control. Smart outlet/switch is a better way to go. Unless you keep the smart bulb on all the time and just change colors. You can always definitively turn them off at the switch. Smart bulbs can turn themselves off while still receiving power. I know that, but if you turn off the bulb while the switch is still on, then the switch is rendered useless unless you turn the bulb on via the app. Right. That's acceptable for the uses I actually want smart bulbs for. I may or may not be getting the full retard version in end grain bamboo. Is there some reason it has to look so murdery? I've got a pile of stuff out in the shed with the same aesthetic. I can let you have the whole lot for the cost of one hipster cleaver.